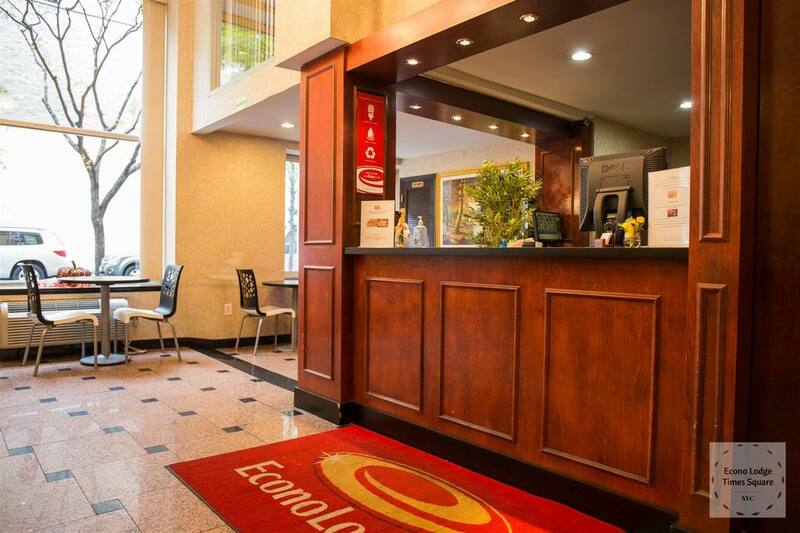 Econolodge Times Square Make your day hotel stay enjoyable and comfortable by booking your day stay at Econolodge Times Square. 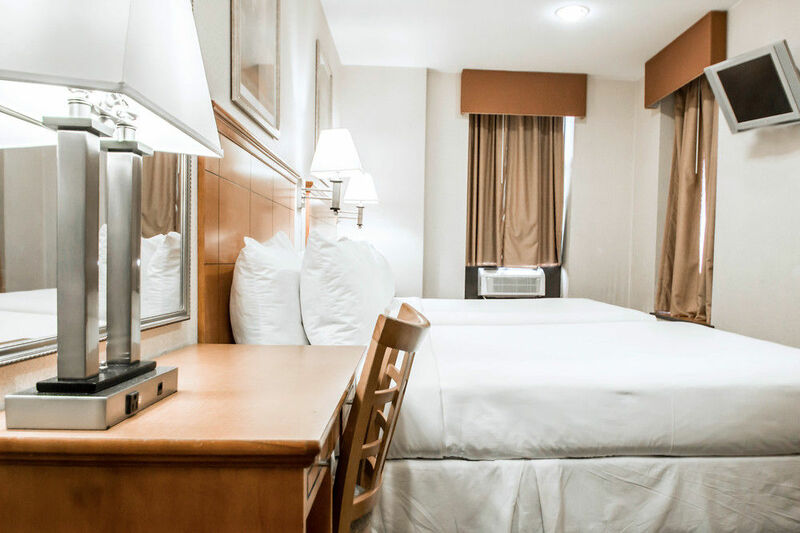 For visitors looking for an affordable hotel day stay in New York, the Econolodge Times Square is an excellent option in the heart of the city. The Econolodge has a variety of complimentary services and top amenities to give guests a comfortable stay for the day in New York. From its exceptional customer service to its plush guest rooms, your day will fly by! Book day use rooms at the Econolodge Times Square Hotel in NYC with Hotels By Day today! 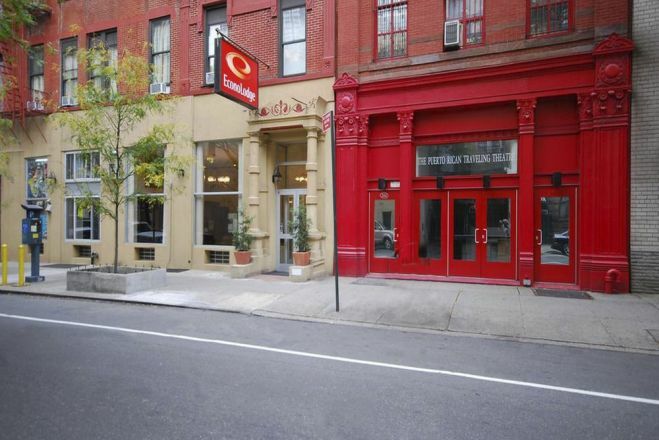 Located on 302 West 47th Street, the Econolodge is just a couple blocks away from Times Square. 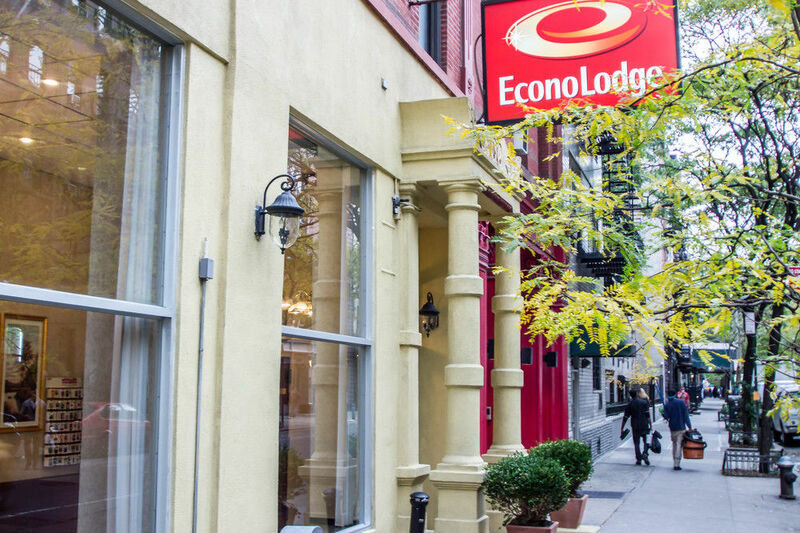 Within walking distance of prime shopping and fine dining, the Econolodge lets guests explore the best the city has to offer during their hotel day stay in New York. From Broadway shows to baseball games at Yankee Stadium, Econolodge Times Square is the perfect hotel to stay for the day. 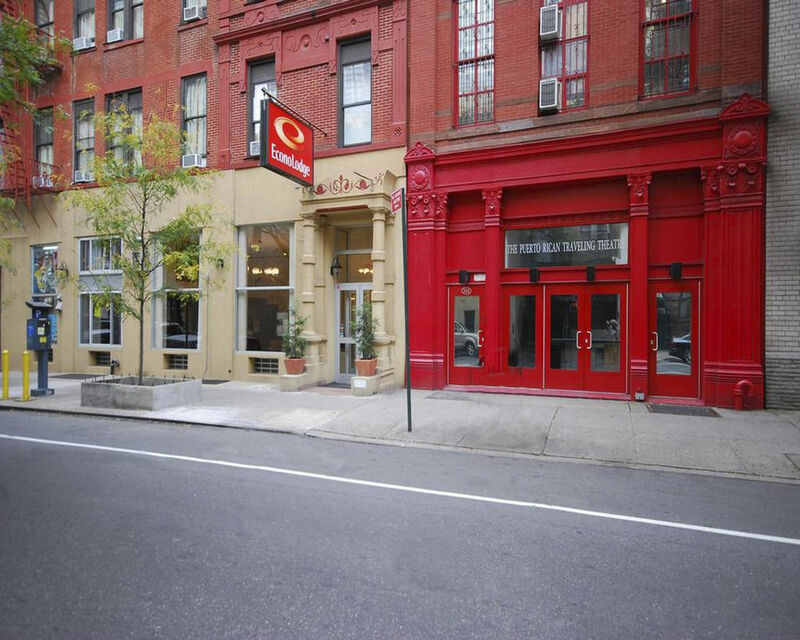 Theater District – The Econolodge is located in the Midtown West neighborhood between Hell’s Kitchen and the Theater District, putting guests in close proximity to the headlining shows on Broadway. Book a day stay at the Econolodge to get ready before an unforgettable performance of Wicked or The Book of Mormon. Waffles and Dinges – If you’re looking for an authentic taste of the real New York, swing by Waffles and Dinges for an out of this world dessert. The iconic food cart predates the food truck craze and we suspect it will be around for a while after. Grab a Spekuloos and Nutella and head into Central Park for the perfect afternoon stroll in Manhattan. Transportation – The Econolodge is in a prime location for getting around the city, close to Port Authority, Penn Station, and the N, Q, and R subway lines. 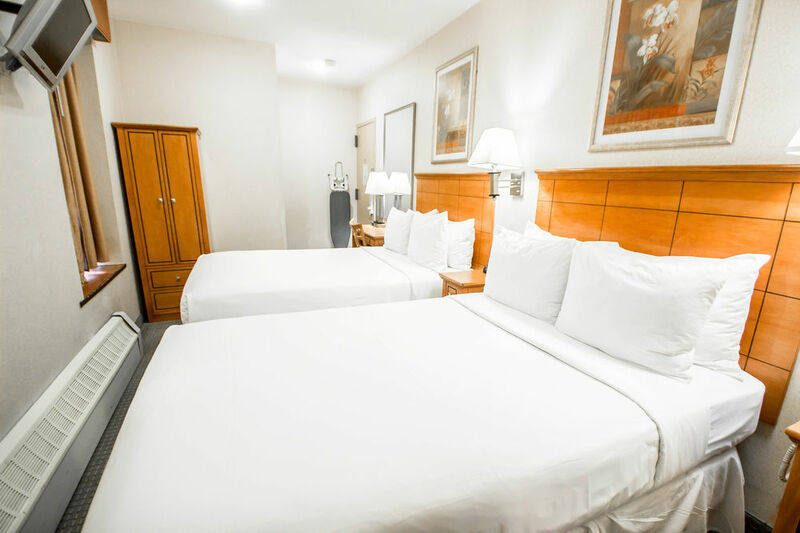 From its central location, the Econolodge gives guests access to everything from the Empire State Building to Radio City Music Hall and the Brooklyn Bridge. Comfortable Guest Rooms – Day guests can take advantage of their room’s thoughtful features for an enjoyable stay. The climate controlled rooms are equipped with safes, complimentary high speed internet access and flat screen televisions. Business travelers can enjoy a productive afternoon working from their room’s comfortable workspace with free local calling. 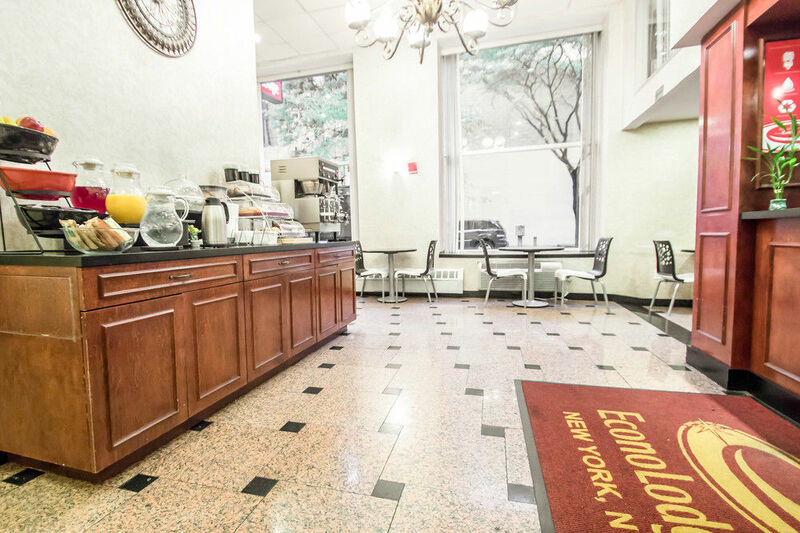 General Hotel Amenities – TheEconolodge Times Square offers day guests perks like complimentary coffee and internet access. Guests looking to stick to an exercise routine have access to a fully equipped fitness center nearby. For business travelers, the hotel has a modern business center with fax and copy services available. There is also a gift shop on site for anything you might have forgotten to bring. Getting Out Into the City – The Econolodge has a concierge desk to help you make reservations at popular restaurants and shows but if you’d prefer to explore the city on your own, the hotel has bicycles available for day guests to borrow.